The collision between a woman and a car was at the junction of Elland Road and Halifax Road. 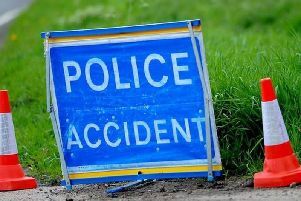 A woman has been taken to hospital after being hit by a car at Ripponden. The collision involving a Mini and a woman in her 20s was at the junction of Elland Road and Halifax Road at around 8am today (Tuesday). Paramedics requested that police be called shortly afterwards. The woman was taken to Huddersfield Royal Infirmary to be assessed. A spokesperson for West Yorkshire Police said there had been issues with traffic build up and delays which were now clearing.